👷 We're working on a beta feature that allows you connect Simplesat with custom fields in your ConnectWise instance. Once enabled, your ConnectWise tickets will automatically be updated with the latest rating sentiment, value, and comment. 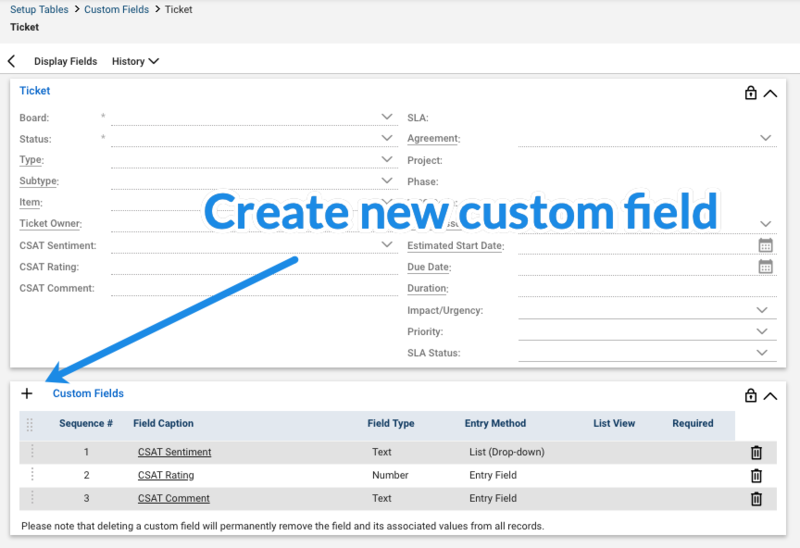 After you create the new custom fields in your ConnectWise account, let the Simplesat team know and we'll work with you on completing the connection. You should see a screen similar to the one in the screenshot below.